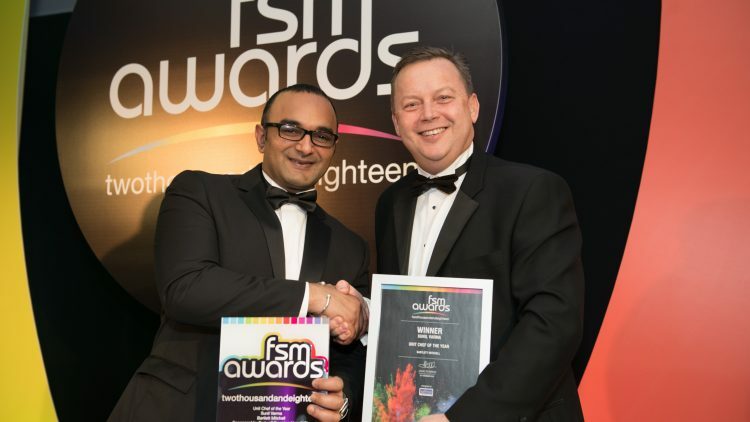 Sunil Varma is named FSM’s 2018 Unit Chef of the Year. 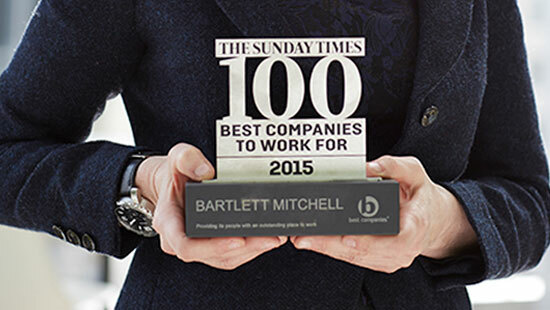 Investing in its people – bartlett mitchell has heavily invested and engaged with the team. This is demonstrated via great interaction with the company. 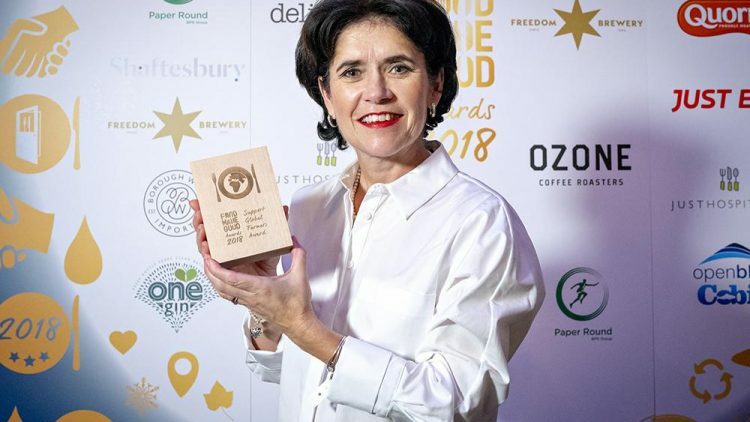 Perkee Coffee has won the Support Global Farmers Award at the The SRA awards for our work with the Soppexcca co-operative who grow our Perkee coffee beans. 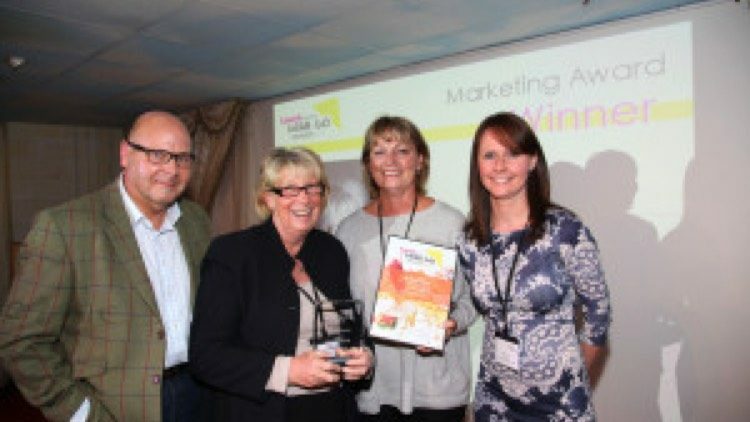 The Development Team for Perkee Coffee win The Marketing Award at the FSM Awards 2017. 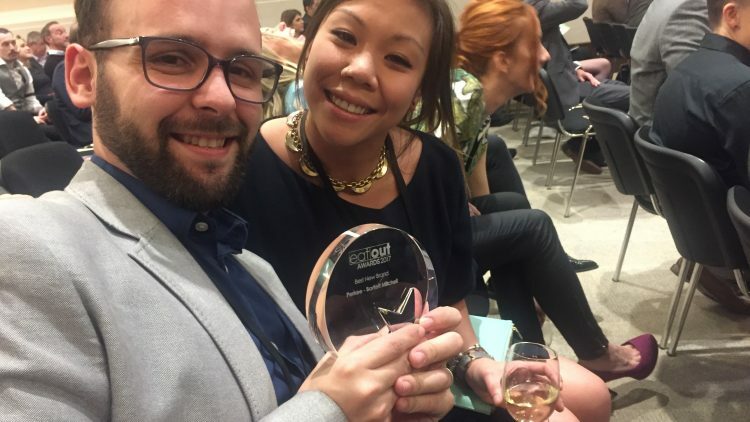 Miguel and Emma receive the award for Perkee Coffee – Best New Brand 2017 at the Eat Out awards. 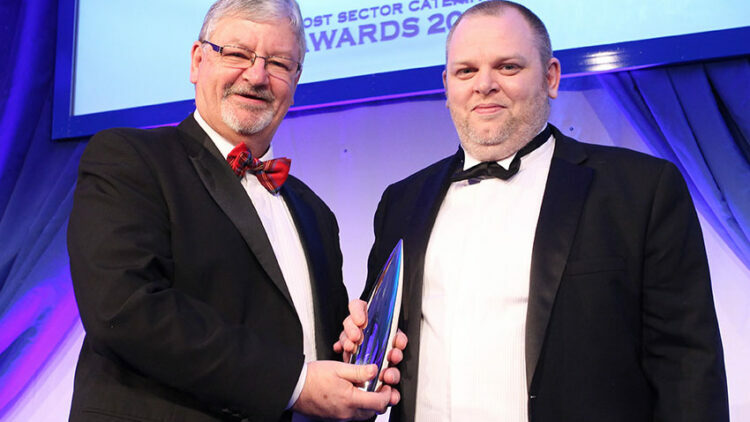 Darryl Young received the Cost Sector Catering Chef of the Year Award 2016. 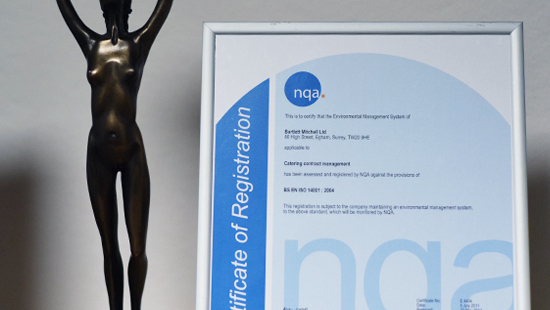 ISO 14001 accreditation confirms that the company has successfully implemented an internationally recognised environmental management system. 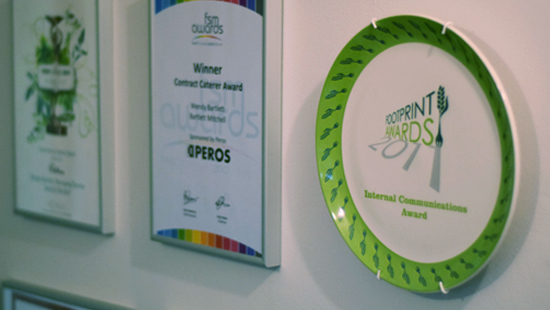 The certificate is only awarded to organisations which are committed to reducing the environmental impact of all internal processes. 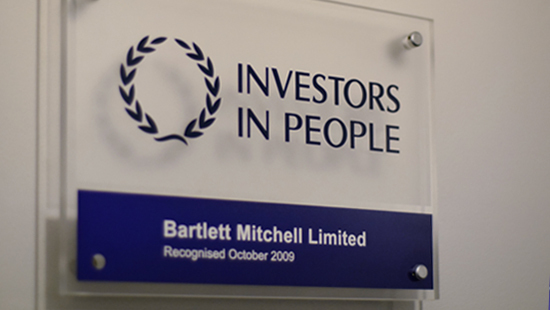 The IIP Gold Award recognises bartlett mitchell’s commitment to the development and training of its team. 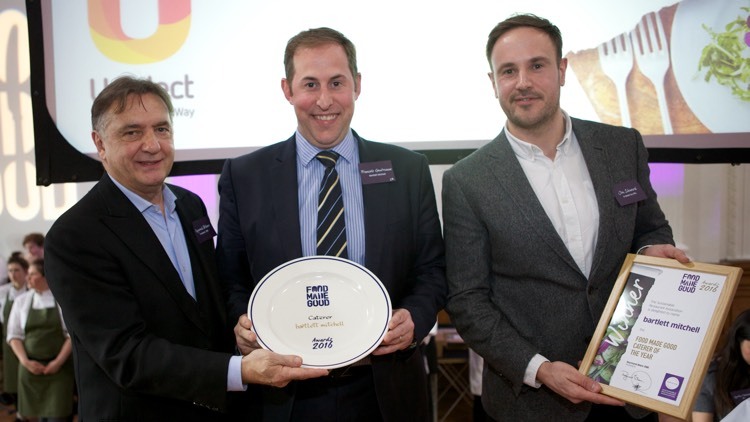 bartlett mitchell complete a sustainability hat trick, named Food Made Good Caterer of the Year for the third successive year . Raymond Blanc OBE, President of the Sustainable Restaurant Association (SRA) presented bartlett mitchell’s Managing Director, Francois Gautreaux with the award in recognition of their continued outstanding level of sustainability. 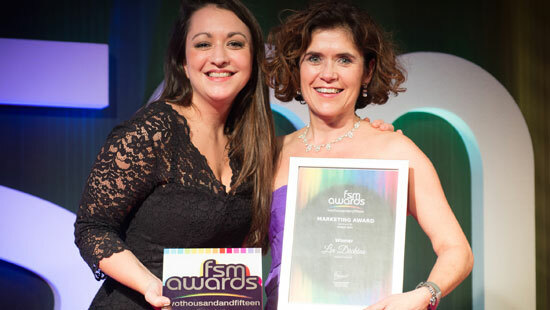 Lin Dickens, Marketing Director won the FSM Marketing Award 2015. The award was for bartlett mitchell’s 365 Kitchen Pin board initiative that delivered successful sales results with a clear ROI. 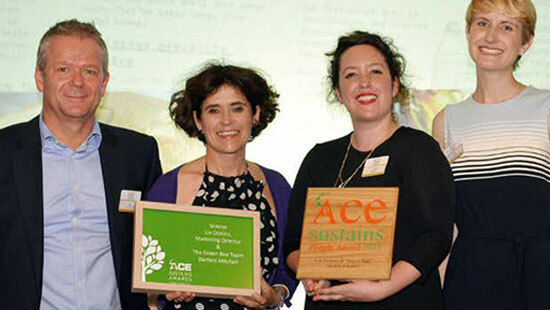 Lin Dickens, Marketing Director and bartlett mitchell’s green bee team won the Ace Sustains Award 2015. 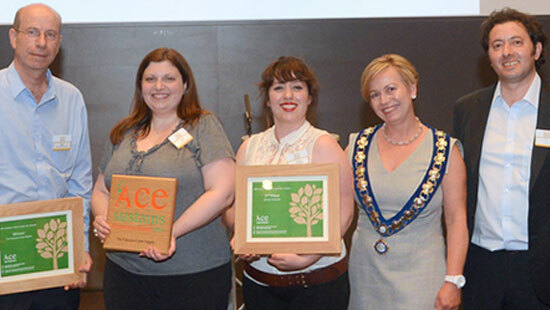 The ACE Sustains awards recognise the teams and companies that truly stand out in the foodservice sector as champions of sustainability. 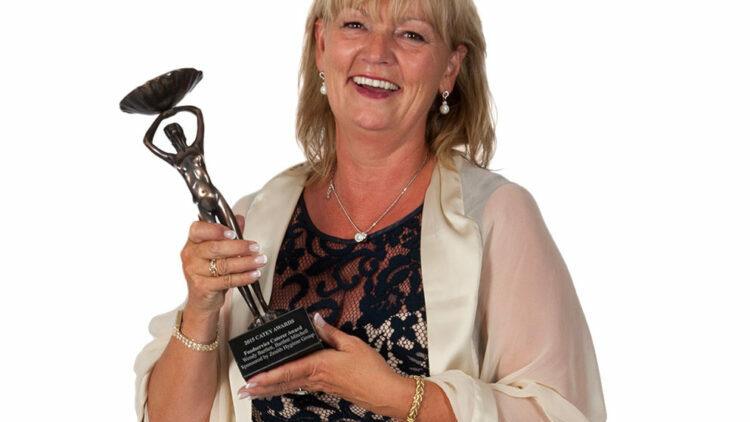 Wendy Bartlett won one of the hospitality industry’s ‘Oscars’, a Catey Award, for ‘Foodservice Caterer of the Year’. 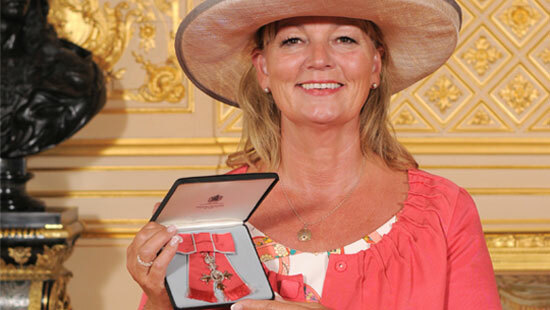 Wendy was recognised for her business success and for the part she plays in the wider industry supporting a range of employment and business initiatives, being a Board member of various industry organisations and charities, and leading sustainability in her organisation. 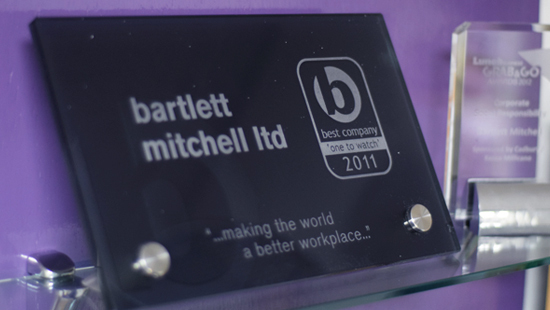 bartlett mitchell were awarded a Best Companies To Work For Award for the second year at a ceremony in London. A Best Companies Award acknowledges excellence in the workplace and a focus on Workplace Engagement as an integral component of an organisation’s success and growth. 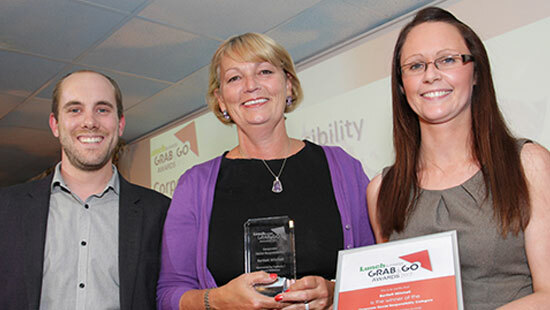 bartlett mitchell won a Lunch Business Grab & Go marketing award for DARE – their Delicious and Responsible Eating programme. 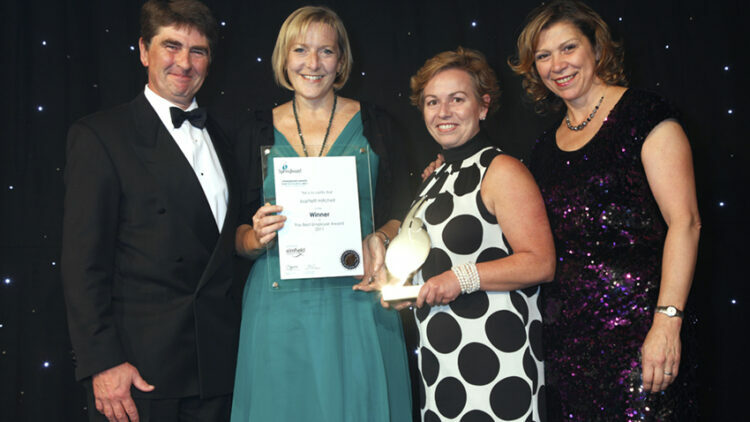 bartlett mitchell has been singled out for special praise at the 2013 ACE Sustain Awards, which were held in London this week. 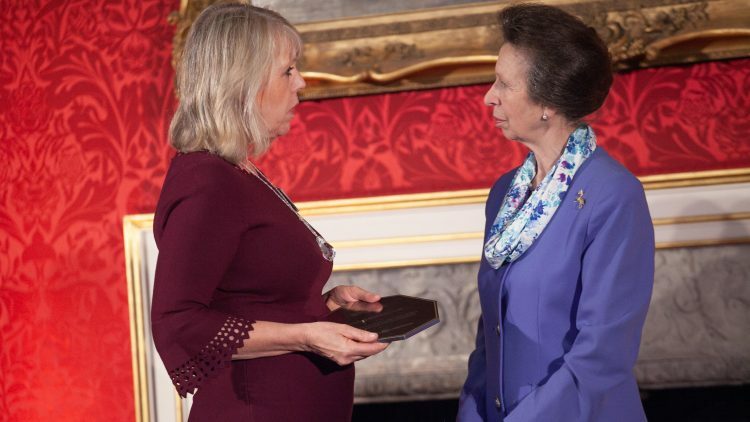 This was the inaugural year for the Association of Catering Excellence’s (ACE) new awards scheme and entry levels were high. 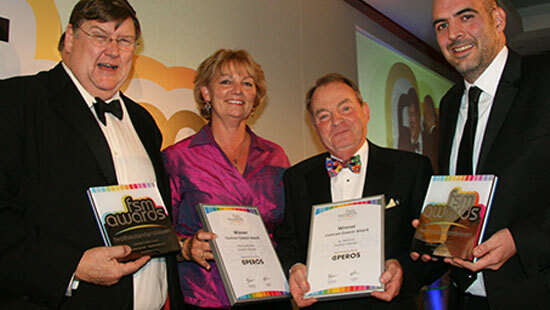 bartlett mitchell came second in both award categories – the ACE Sustains people and team awards. 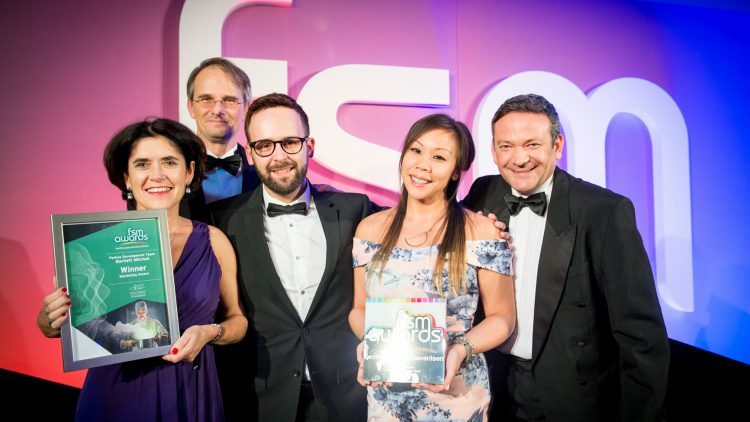 bartlett mitchell was named Sustainable Caterer of the Year 2014 by the Sustainable Restaurant Association. 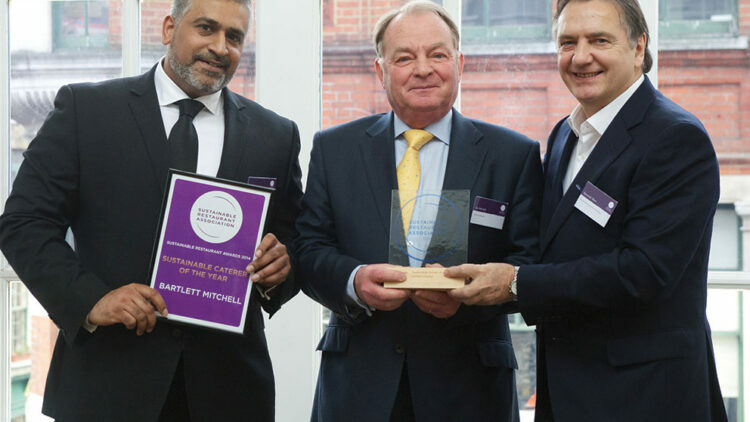 Raymond Blanc, President of the Sustainable Restaurant Association (SRA), presented the award to bartlett mitchell Chairman Ian Mitchell at Roast restaurant in Borough Market. 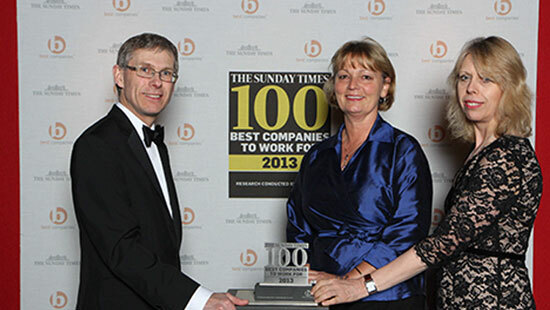 bartlett mitchell were awarded a Best Companies To Work For Award at a ceremony in London. A Best Companies Award acknowledges excellence in the workplace and a focus on Workplace Engagement as an integral component of an organisations success and growth. When we launched in 1999 , we set out to deliver a fundamentally food environment offering hands-on proactive management, a motivated and well-supported catering team, innovation and a genuine desire to serve great food. Winning this award shows we have stayed true to our principles. This is the second time we’ve been awarded Best Employer by Springboard UK, which highlights our continued team commitment. We’ve always believed great people attract great people and our HR Director and her dedicated team are creative in their approach to learning and development. Industry recognition for the strides forward bartlett mitchell has made using social media, not only for our ‘Big Conversation’, encouraging clients, team and prospective employees to talk through Facebook and Twitter, but also internally, helping share our ‘fundamentally food’ ideas through video master classes and online training options. Ranking highly in the Ones to Watch category, bartlett mitchell’s best workplace factors are: “fair deal” ensuring our team are well-rewarded; “leadership” commending our approachable management team with strong values and principles; and “well-being”, offering a healthcare plan for team members too. It was great to see our name counted amongst the top 1000 of Britain’s brightest – this puts us amongst the UK’s most profitable, stable companies who will be leading the UK out of the recession. 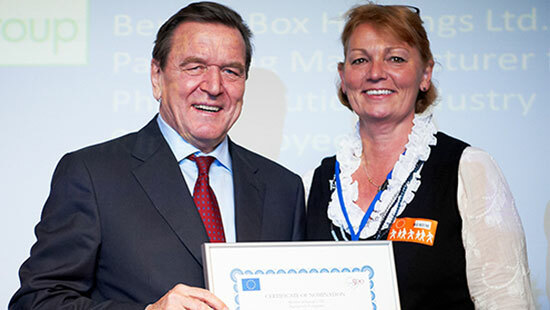 Presented by German ex-chancellor Gerhard Schroeder in recognition of our successful growth, bartlett mitchell was ranked No 88 in the EU’s “Top 500 for Growth” between 2007 and 2009. This systems and process-based accreditation demonstrates our commitment to the environmental cause, ensuring it’s built into the day to day running of the company and future business strategy. 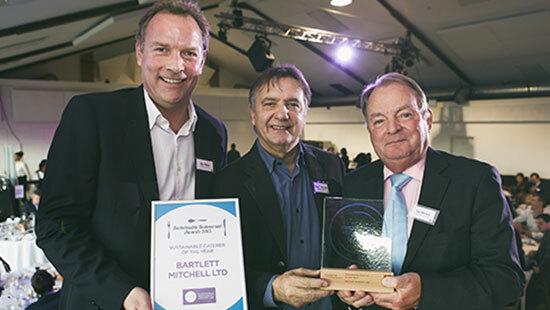 bartlett mitchell wins coveted Sustainable Caterer of the Year Award for second year running. 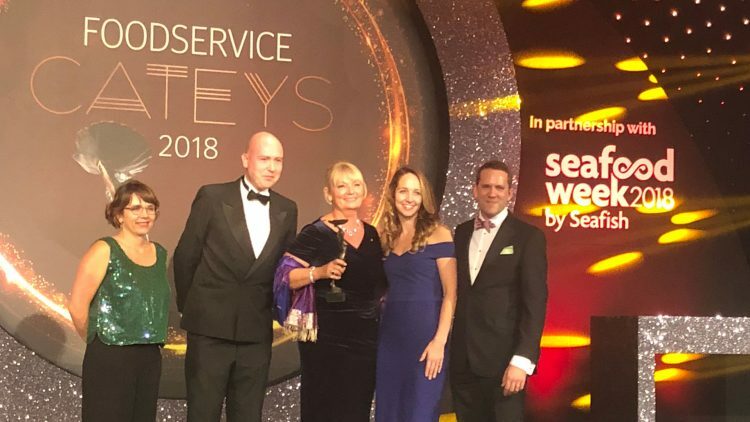 bartlett mitchell, has won the coveted SRA’s Sustainable Caterer of the Year Award for the second year running at this year’s Sustainable Restaurant Awards held in London. Ian Mitchell was presented with the award by Raymond Blanc.